Our cleaning process uses no harsh chemicals or abrasive brushes. All of our chemicals are of the highest quality, and are environmentally friendly. 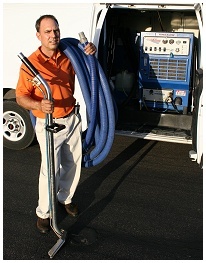 We use Hydra-Master equipment, the most powerful and technologically advanced truck-mount steam cleaning systems to carefully & thoroughly clean your home or office. Amazing provides quality service at a fair price. We are not a coupon advertiser who promises bargains and cuts corners, 83% of our business is client referrals and repeat customers. All work is 100% guaranteed. If you are not completely satisfied we will re-clean or refund your payment! Extracts allergy-causing pollens, spores, etc.